Club members at Surf Life Saving Lakes Entrance will be SunSmart as well as safe in the water, thanks to a donation by Federal MP Darren Chester. Mr Chester has provided the club with broad-brimmed hats again this summer to support the junior lifesaving program. 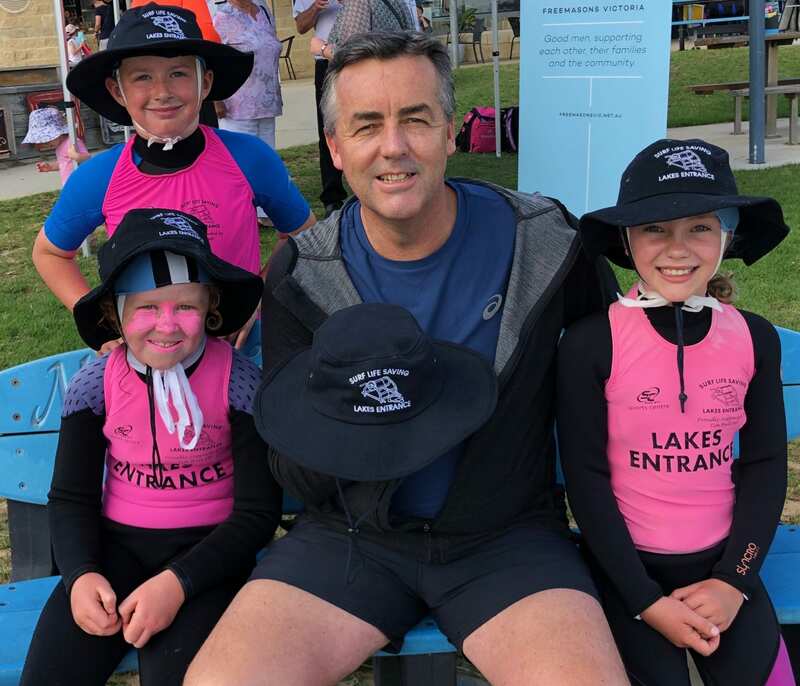 “It’s great to see so many young members participating in the Nippers program this year at Lakes Entrance,” Mr Chester said. Mr Chester, pictured with Riley Whelan (left, back), Charli Richardson (left, front) and Olivia Stothers (right), has also donated broad-brimmed hats to young would-be life savers at Seaspray and Woodside Beach surf life saving clubs. In Victoria, more than 10,500 Nippers aged between 5 and 14 years hit the beaches as part of the Nipper Education Program each summer.